Click here for reasonable summer rates! Deposit of 25% is required to secure your reservation; balance due on arrival. We have a 14 day cancellation policy. If you cancel your reservations with less than 14 days until your first reserved day, then no deposit refund. Unless new renters are secured for that time frame. 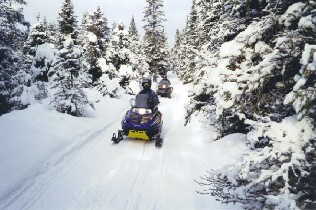 Click here for reasonable winter rates! (Smoking allowed outside / pets on approval). Winter wonderland perfect for snowmaching, cross-country skiing, or watching the stars or northern lights from the Hot Tub. Click here for reasonable RV rates! (no hidden charges / children & pet friendly). Exclusive secluded RV Resort on the Riverfront. 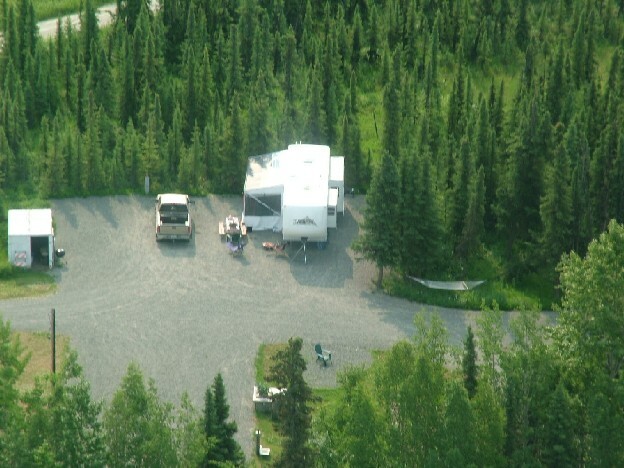 4-sites maximum for your privacy, trees surround the property, and includes a wonderful view of the Moose River. High quality Terry Cloth Robes, embroidered with Moose River Resorts Logo. One-size-fits-all for both men and women with adjustable 3/4 length draw rope. Embroidered Ball caps with Moose River Resort logo. Cap have either tan, navy or denim ball cap colors. Tan cap is tradition height, while black and denim are low profile caps. Phone/fax: (907) 262-9777 or (907) 394-2882 cell.